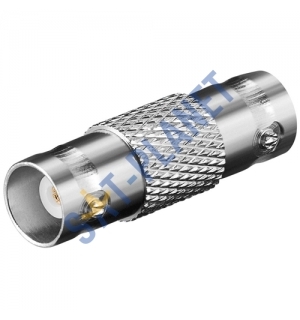 This Female to Female BNC Joiner / coupler used typically in CCTV camera systems and provides the ability to interconnect two devices with BNC male interfaces. A common use for this device is to change the gender of a device from BNC male to BNC female or to conveniently connect two cables together that have BNC male ends in place. No tools required to fit it.